Admissions to the Class of 2023 relies on an application, High School Placement Test (HSPT) results, review of middle school grades, other standardized test scores and pastor/principal/teacher/counselor letters of recommendations. Admissions and placement for the Class of 2023 is the High School Placement Test (HSPT). The test will be administered at STA December 1, 2018. STA recommends Barron's HSPT 3rd or 4th Edition Guide by Kathleen J. Elliot M.A., Carmen Geraci M.A. and David Ebner Ph.D. or Barron's Strategies and Practice for the HSPT by Sandra Martin for individual preparation. Open House offers the best opportunity to explore the STA campus, learn about our offerings, and meet members of our special STA family. The entire administration, faculty, and staff provide guests a comprehensive look at all aspects of student life. Student leaders, alumni, and parents also engage is this showcase event. Classroom visits, student performances, teacher presentations, and student interaction highlight Open House, the best way to experience true “Raider Pride”! Open House is held annually in the Fall. STA invites current eighth grade students to schedule a Shadow Visit. Current freshman students are chosen by faculty and administration to serve as Shadow Ambassadors. These ambassadors share their classroom experiences for the day with potential, future Raiders. Prospective students have the opportunity to meet members of the administration, faculty, and staff during this first-hand classroom and campus life experience. CLICK HERE TO REGISTER FOR A SHADOW VISIT. 8th Grade Report Card - Student's most recent report card containing 1st Quarter grades and attendance record. Please include the 2nd Quarter Grades, if available. Letters of Recommendation - Two letters of recommendation are suggested, addressing the student's academic progress and over-all performance in the student's current school. These can be from teachers, guidance counselors, or the principal. Transcript & Report Card - A current transcript containing student's previous grades, standardized test scores (Iowa, Terra Nova, FSA, EOC, SSAT, PSAT, SAT, ACT), attendance record, service learning hours and a copy of the student's most recent report card. International students - Please email the Director of Admissions, Joseph Marinaro at joseph.marinaro@aquinas-sta.org regarding foreign transcript requirements. Service Learning - Official documentation of service learning hours if not on transcript. Application for admission will not be reviewed until all the required documentation is received. Note - Application for admission will not be reviewed until the online application fee ($50) is paid and all required documentation is received. 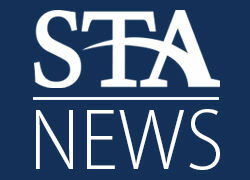 Admissions decisions for incoming Freshmen who take the December HSPT at STA are announced in February. Final acceptance and enrollment remain contingent upon the successful completion of the eighth grade. The Transfer Application is generally reviewed when submitted. However, the admissions decision is determined greatly on placement availability and the academic status of the applicant. St. Thomas Aquinas High School welcomes applicants interested in transferring into 9th, 10th, and 11th grade. Please review STA academic and graduation requirements to help determine whether the transfer to STA will benefit your academic future. STA requires a transfer application, a current high school transcript, standardized test scores, and two letters of recommendation. Transfer requests to enter as a Senior student are evaluated with added attention. The Administration is very reluctant to accept senior transfers. COMPLETE THE STA TRANSFER APPLICATION TODAY! Conducted during the school day, campus tours enable us to share our STA Pride with prospective parents and students as we highlight the facilities, programs, and processes for admission. 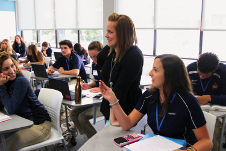 Additionally, the campus tour offers an opportunity to meet STA administrators and staff and gives guests a first-hand look at the spiritual, academic, and extracurricular life at STA. 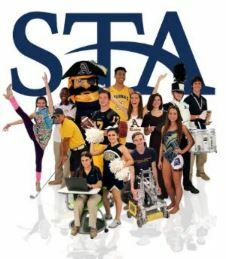 STA requires a transfer application and the payment of an application fee of $50, a current transcript showing the student's previous high school grades, standardized test scores, attendance record, service learning hours, and a copy of the student's most recent report card, (Official documentation of service learning hours must also be sent if not recorded on the transcript. ), two letters of recommendation addressing the academic progress from the student's current school. Note: International students email the Director of Admissions joseph.marinaro@aquinas-sta.org regarding foreign transcript requirements. The transfer application will not be reviewed until payment of the online application fee ($50) is made and all the required documentation is received. Thank you for your interest in St. Thomas Aquinas High School!